Former daytime and primetime soap opera star Alec Baldwin, a two-time Emmy winner and Tony Award and Oscar nominee who has been on top of the cultural zeitgeist with his performance as President Donald Trump on "Saturday Night Live," has been cast as Col. Nathan Jessep in NBC's upcoming live "A Few Good Men," from esteemed playwright and Oscar and Emmy winner Aaron Sorkin, who will executive produce and adapt his own play for the broadcast. Baldwin and Sorkin will join Craig Zadan and Neil Meron as executive producers of "A Few Good Men." Zadan and Meron's "Hairspray Live!" received seven Emmy nominations last week, including Outstanding Special Class Program. "Alec Baldwin is the gift that keeps on giving at NBC, and we're excited to have him starring in Aaron Sorkin's towering work as we expand our live theater imprint beyond musicals," said Robert Greenblatt, Chairman, NBC Entertainment. "No stranger to live television, Alec is the most multi-faceted actor in the world and his range is incomparable. He will put his own inimitable stamp on the role of Col. Jessep in a play that is still as surprising and relevant as ever, from one of the most gifted writers working today." "Alec is one of our greatest actors. Having him play this role - live onstage for a television audience - is a dream come true. This will be a brand new take on Nathan Jessep and I expect that Alec is going to bust through TV screens and right into living rooms," Sorkin said. Sorkin will write the teleplay adaptation of "A Few Good Men," which he penned at age 26 as a stage production that premiered on Broadway in 1989 at the Music Box Theatre to critical acclaim. Three years later he adapted the play as a feature film that went on to receive an Oscar nomination for best picture. "A Few Good Men" marks NBC's first live production of a Broadway drama in more than 50 years since the network began reinvigorating live programming in 2013 with the hugely popular production of "The Sound of Music Live!," starring Carrie Underwood. That was followed by musicals "Peter Pan Live!" "The Wiz Live!," and "Hairspray Live!" as well as next season's live production of "Jesus Christ Superstar" on Easter Sunday. 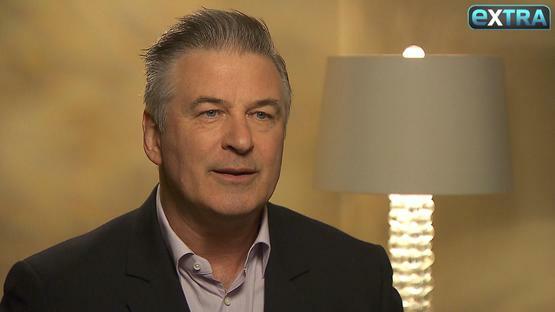 Baldwin won two Emmys as well as three Golden Globes for his role as Jack Donaghy on NBC's Emmy-winning comedy series "30 Rock," co-starring Tina Fey. Nominated for 18 Emmys, 11 Golden Globes, a Tony (Best Actor in a Play for "A Streetcar Named Desire") and an Academy Award (Best Supporting Actor for "The Cooler"), Baldwin is one of the most diverse actors of his generation, earning acclaim in a broad range of dramatic and comedic roles. Prestigious or highly popular films on Baldwin's resume include "Beetlejuice," "Working Girl," "The Hunt for Red October," "Glengarry Glen Ross," "The Aviator," "The Departed" (both from director Martin Scorsese) and "Blue Jasmine," (from director Woody Allen and featuring Cate Blanchett in an Oscar-winning performance). On the TV side, Baldwin has hosted NBC's iconic late-night franchise "Saturday Night Live" a record 17 times - more than any other host. Other TV projects over Baldwin's career include "Knots Landing," "The Larry Sanders Show," the telefilms "Nuremberg" and "Path to War," and "Will & Grace." Set in 1986 and taking place in Washington, D.C., and the U.S. Naval Base in Guantanamo Bay, Cuba, "A Few Good Men" centers on newbie military lawyer Lt. Daniel Kaffee, who comes up against the formidable Col. Jessep when he is asked to defend three Marines on trial for murder. Tom Hulce ("Amadeus") was nominated for a Tony for his portrayal of Kaffee on Broadway. The film adaptation starred Tom Cruise as Lt. Kaffee and Jack Nicholson as Col. Jessep. "A Few Good Men" will air in the second quarter of 2018. A date will be announced soon. El Dorado Pictures' Mallory Schwartz and Storyline Entertainment's Mark Nicholson will also produce. The telecast will be produced by Universal Television in association with Sony Pictures Television and Warner Bros. Television.